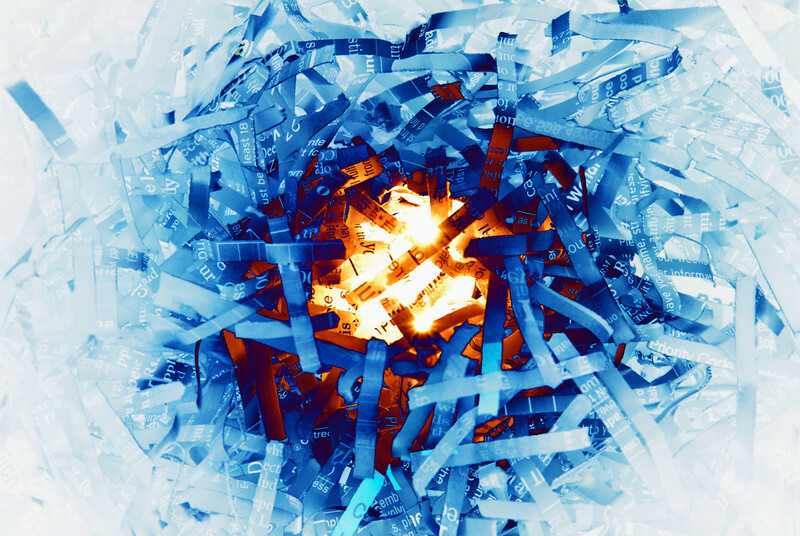 Paper in my paper shredder with a little creative Photoshopping. If you look very closely, you can make out my social security and credit card numbers. No, not really.